A home automation system usually combines a range of systems relating to entertainment, outdoor controls, climate control, lighting and more too. Your home automation system will need to be designed so that it is seamlessly integrated into your electrical system right from its conception. The initial electrical installation will need to be adapted accordingly and will require someone with expert knowledge of home automation systems to design and install it. Solutions IN will ensure that your project is coordinated correctly and precisely to ensure a great end result, from the initial plans to that initial flick of the switch when your brand new home automation system goes live. We will assess your needs with you and produce project plans to ensure you are accompanied every step of the way to get the home you have always dreamed of. We listen to you from the beginning until we finished the project. The necessary meetings to map out your needs. A customized Home Automation System. Modern technology is advancing at such a rate that the average consumer may not be keeping up with the multiple options available in today’s market. 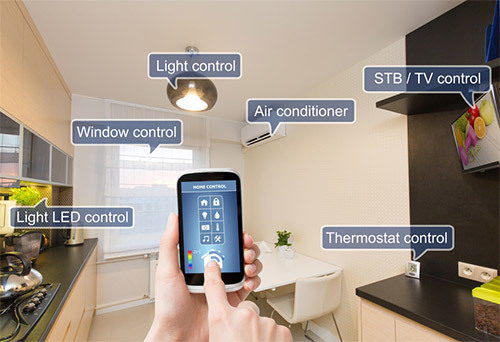 You may know what your needs and wants are – Whole Home Automation or partial – but knowing the many options that are available for satisfying those desires may require the expert guidance of professionals. Professionals, like those at Solutions IN, who can take your needs and translate them into the technical language required by the architects, interior designers and project managers. Following the necessary meetings to map out your needs, you will have the peace of mind in knowing that the plans for your integrated home automation system will be carried out to specification with no hassles to deal with. While an integrated home or business automation system is definitely on the cutting edge for today, it is also a huge step into the future of building construction. 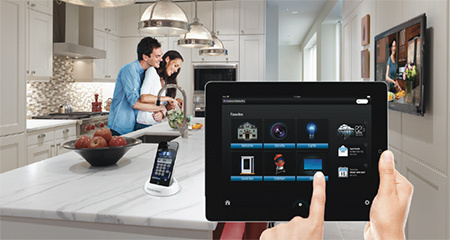 Everyone can benefit from an integrated home automation system. Those who will most likely benefit the most at present will be people with disabilities, seniors and those with certain religious requirements. We can set up an integrated electrical home automation system to operate with just a push of a button, or even hands free when needed. It will coordinate with whatever systems you need. We also work with interior designers and architects to enable them to offer their clients the ultimate dream home. For more specific details, click on our Features and Benefits page. We also would love to hear directly from you. To set up an appointment to discuss your specific needs, Contact Us either by phone or e-mail requesting a call back. We look forward to serving you!